Examples of ad design for use in Panache Vue' Magazine, and other marketing campaigns. 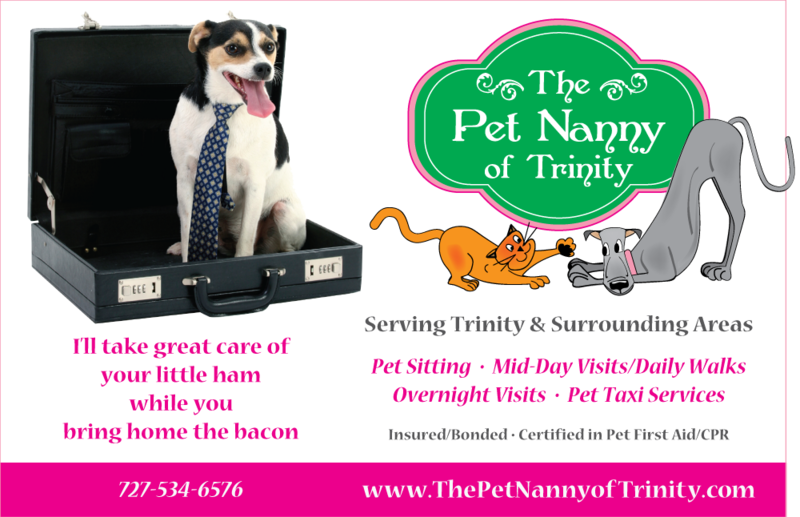 These ads were designed as a part of the branding/marketing campaign for the Pet Nanny of Trinity. The logo and colors were already created by a different designer. The bright pink was only a small portion of the logo (edge of the sign). I decided to make it integral to the design, and put together the marketing language of the ads, along with photos from IStockPhoto.com. I made three ads at once, and they will be released consecutively in the bi-monthly publication, Panache Vue' Magazine. 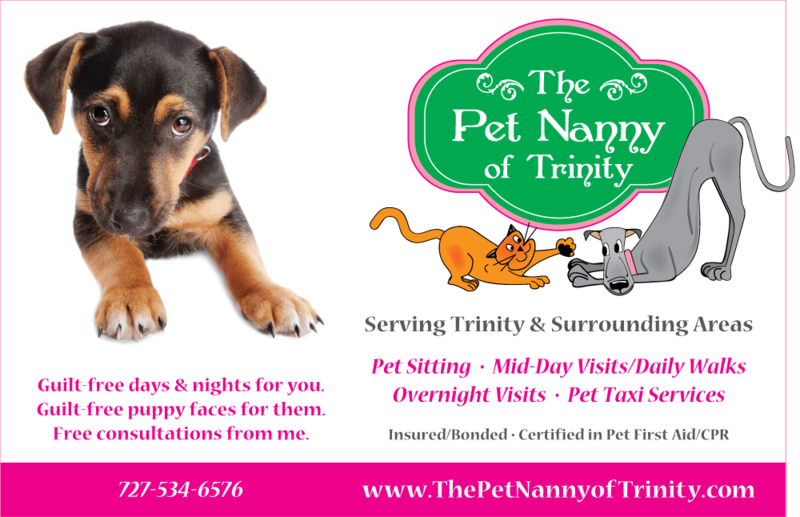 I have made the ads available to the Pet Nanny, in case she wants to post to Facebook, or create other marketing items from them. 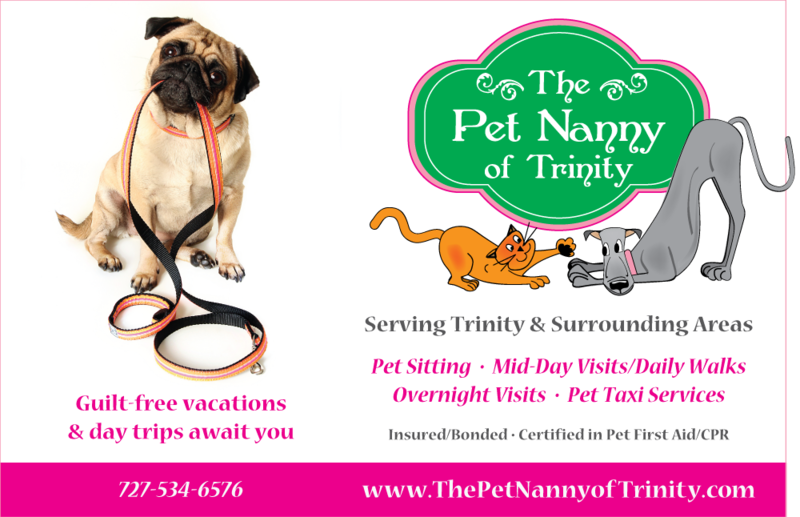 This ad was designed as a part of the branding/marketing campaign for the Pet Nanny of Trinity. The logo and colors were already created by a different designer. The bright pink was only a small portion of the logo (edge of the sign). I decided to make it integral to the design, and put together the marketing language of this ad, along with a photo from IStockPhoto.com.